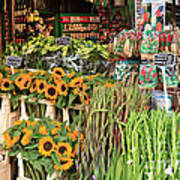 There are no comments for Flower Shop In Amsterdam. Click here to post the first comment. 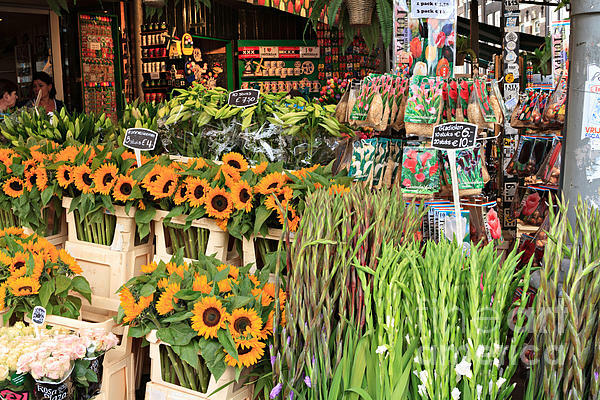 Dutch flower shop in Amsterdam. 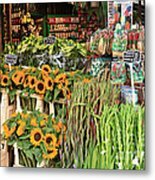 A shop sells fresh flowers as well as souvenirs and bulbs to tourists. 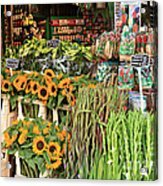 Bright yellow sunflowers catch the eye next to bundles of gladioli in the open air market in the heart of Amsterdam.